Andrew commenced his career with Norwich Union in 1990 where he carried out various roles within the claims department for 9 years. He then worked within the Motor Trade industry for a local BMW dealership and Marsh Insurance Brokers assisting with placement of large North American Property portfolios. 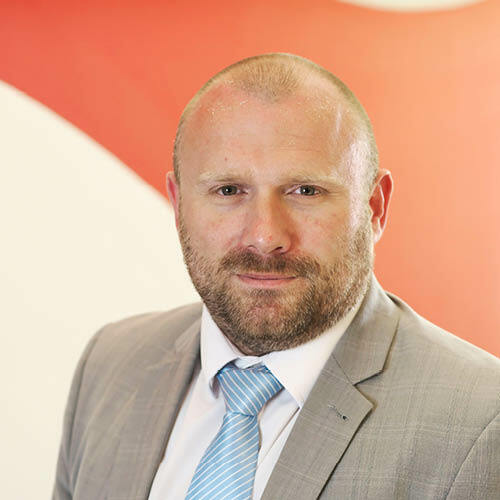 Andrew joined Alan Boswell Insurance Brokers in 2005 as an Account Handler and progressed to the Claims Executive role dealing with large commercial property and liability claims for our clients. He was then promoted to an Account Executive in 2011 dealing with all types of commercial insurances. Andrew is a family man with a wife, two children and a dog. He enjoys motor racing, DIY and days out with the family.